Making avocado toast is not rocket science, but I felt it was my breakfast lover’s duty to share one of my favorite morning meals with you. There are some breakfasts, like avocado toast with egg or my favorite yogurt parfait, that carry me straight through to lunchtime. Mid-morning snack binge averted! And what if you’re not a fan of fried eggs or tomatoes? 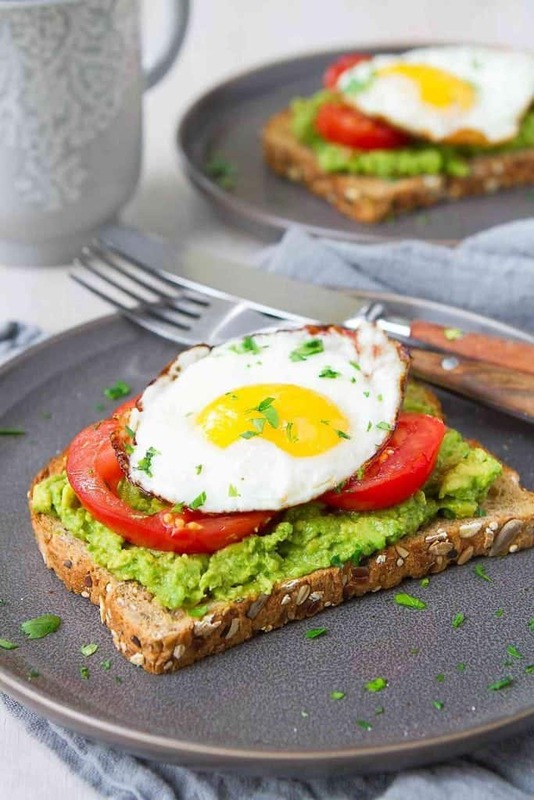 Keep scrolling – I have several avocado toast variations to keep you happy! 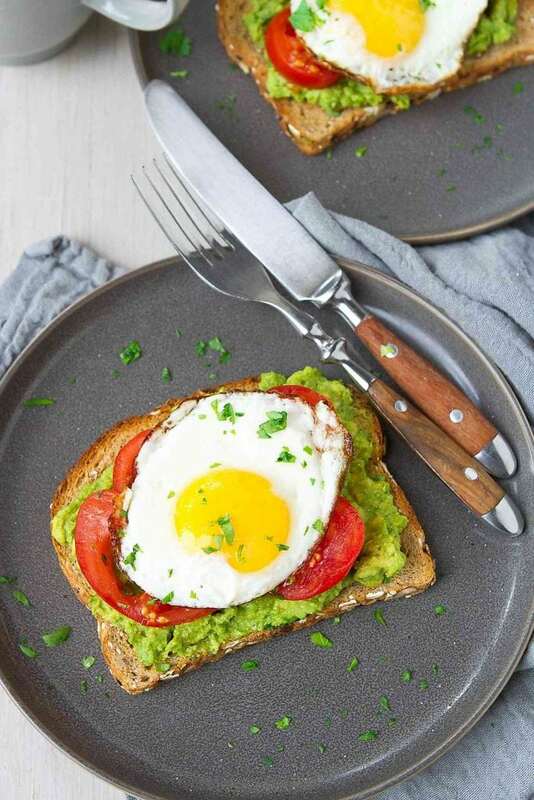 Why is a dose of avocado and egg toast so satisfying? Three words – protein, fiber and fats. For the toast, I use a hearty whole wheat bread with lots of seeds (my favorite is Dave’s Killer 21 Grain Bread, which can be found at most supermarkets and Costco). Fiber galore! The fats come from the egg, the avocado and the ghee that I use to cook the egg. Could you stick with cooking spray for the egg? Of course! But ghee produces the most amazing golden brown crispiness around the edges of the egg. 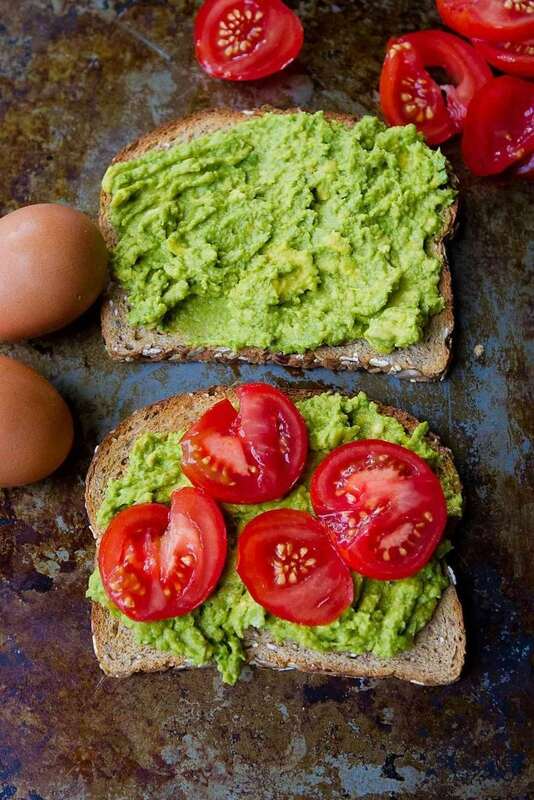 The protein is mainly found in the egg, but you’ll get a bit from the avocado and bread, too. 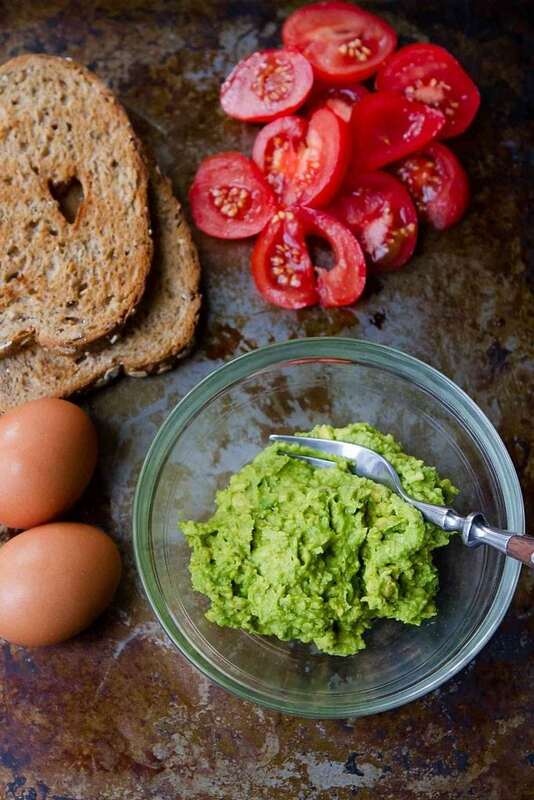 While making avocado bread certainly isn’t rocket science, the key is to start with a perfectly ripe avocado, one that will smash easily with the back of a fork. Greek-inspired: Avocado mashed with oregano, topped with roasted red peppers, kalamata olive and feta cheese. Southwestern: Top avocado with mashed black beans, cumin, tomato and queso fresco. Cheesy goodness: Keep it simple and top with goat cheese, gorgonzola or Brie. 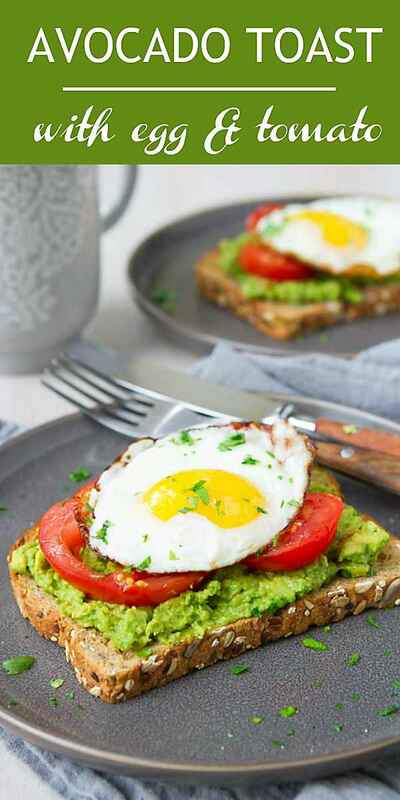 Classic: Top the avocado with slices of bacon or ham and a fried egg or sliced hard-boiled egg. From the sea: Top the avocado with smoked salmon, crab meat or even sauteed shrimp. In a small bowl, smash the avocado with the back of a fork until fairly smooth. Stir in the cumin and salt. Divide the avocado mixture between the 2 slices of toast and spread evenly. Top with the tomato slices. Heat the ghee in a small nonstick skillet set over medium-high heat. Crack the eggs into the skillet, taking care not to break the yolks. Cook until the whites of the eggs are set, but the yolks are still runny. Place one fried egg on top of each piece of toast. Sprinkle the dash of salt over top. Serve with hot sauce, if desired.